This is where human Nam Shin (Seo Kang-joon) stays in episode 2 of Are You Human?/Are You Human Too (너도 인간이니?) (KBS2, 2018). He communicates with a local Czech contact about his mother’s whereabouts, not knowing that he’s being watched at the same time. 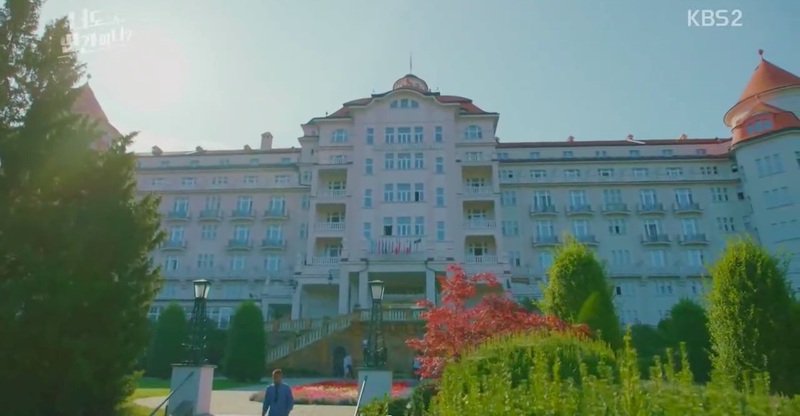 Hotel Imperial is a century-old historical hotel in the city of Karlovy Vary (Carlsbad) in West Bohemia, Czech Republic. Filming took place on its premises from end August to early September 2017.